More good news! Last weekend Gods of Molenbeek won 2 awards at Tampere Film Festival. Both the ‘Special prize’ and the ‘Church Media Foundation prize’. Honoured to announce that no less than three of our co-productions have been selected for Visions Du Reel!!! World Premiere for Century of Smoke (International Competition) & Swiss Premiere for Transnistra (Latitudes) & Gods of Molenbeek (Grand Angle & also the opening film of the festival). Congratulations to the directors, producers & the teams. And thanks to our partners. The film will be screened Friday March 15 at 6 pm. The audiences and the critic were unanimous: DocPoint’s opening film ‘Gods of Molenbeek’ by Reetta Huhtanen is the winner of both the Audience Award and the Critic’s Choice award! Congratulations to director Reetta Huhtanen and to producer and cinematographer Hannu-Pekka Vitikainen. ‘Gods of Molenbeek’ will be released in Belgium in spring 2019. Great news: our co-production ‘Gods of Molenbeek’, which was entirely shot in Belgium, will have its world premiere as the opening film of DocPoint Film Festival in Helsinki on January 28th 2019! The film will also compete in the Nordic Documentary Competition of Göteborg Film Festival in Sweden. Congratulations to director Reetta Huhtanen, producer Hannu-Pekka Vitikainen of Zone 2 Pictures and co-producer Alex Tondowski from Tondowski Films. Belgian contributions by Senjan Jansen for sound design, Philippe Ravoet for edit of the TV cut, Luc Plantier for the edit of the kids’ version, Charline Branger for the trailer, Amira Daoudi for the poster design (coming soon) and Emmanuelle Bonmariage for the coaching of the dubbed voices in French. The film received support from the Flanders Audiovisual Fund, De Mens.nu, Koning Boudewijn Stichting, Casa Kafka Pictures, RTBF and Canvas. In Belgium the film will be distributed by Dalton Distribution and JEF in spring. 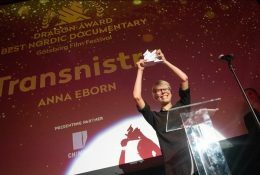 We are happy and honoured to announce the World Premiere of Anna Eborn’s Transnistra at International Film Festival Rotterdam – IFFR – Big Screen Competition! Congratulations to the director Anna Eborn, the main producer David Herdies, congrats also to the Belgian team involved : cinematographer Virginie Surdej & additional cinematography by Colin Leveque, composer Walter Hus, color grader Peter Bernaers and of course everyone else involved in this film. We couldn’t be happier! ‘Manu‘, directed by Emmanuelle, has been selected for fo IDFA in Amsterdam where it will be screened in the First Appearance Competition. The 18th of November we will present our project ‘By the Name of Tania‘, directed by Bénédicte Liénard and Mary Jiménez, at the upcoming IDFA Forum in the rough cut section for possible partners. ‘By the Name of Tania‘ is a hybrid film that tells the story of a teenage girl forced into prostitution in the gold mining regions of Peru. 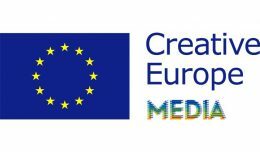 We are very proud to announce that Clin d’oeil films has been granted funding from the Creative Europe Media Programme for their slate, containing the following projects: ‘The Falling Sky’, directed by Pieter Van Eecke, ‘Love is not an Orange’, directed by Otilia Babara and ‘The Master’s Plan’, directed by Yuri Carlos Ceuninck. 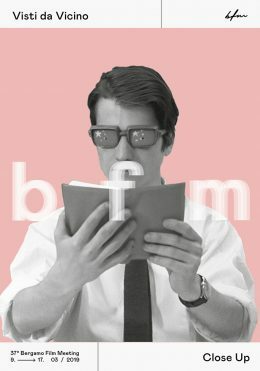 Congratulations to all filmmakers!